A minimalistic and monochromatic take on the beautiful ranunculus flower. 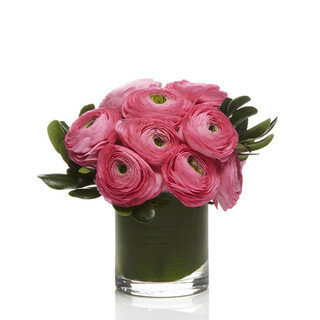 Rich pink stems are all this arrangement needs to be perfectly composed. Florist arranged in a delicate design. Accented with light premium greens in a chic glass vase.